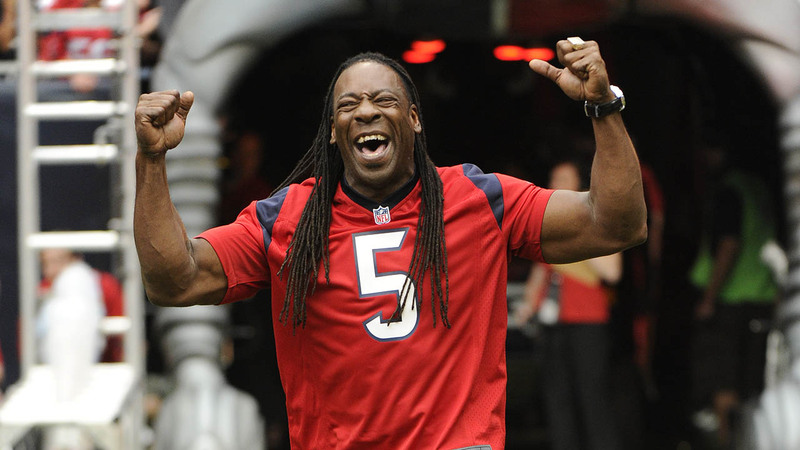 Former WWE wrestler Booker T says he plans on running for mayor. HOUSTON (KTRK) -- Hall of Fame professional wrestler Booker T is bringing some star power to the next race for mayor in Houston. The election is still nearly three years away, but the former wrestler announced his intentions last week. Booker T says he knows it's far off, but he wants the people of Houston to have plenty of time to get to know him. In a year that saw a billionaire reality TV star with no political experience elected president, this professional wrestling superstar says he believes winning the city's top job could happen. "I have no ties," he said. "So I think Donald Trump's rise definitely makes me feel like it's possible," he said. "No it's not possible -- I'm gonna win. 2019, I'm gonna win." From the ring to a chance to become the city of Houston's next mayor, World Wrestling Entertainment Hall of Famer Booker T officially announced his run for office on Tuesday. Booker T has spent years at the top of the professional wrestling ranks. "I always knew wrestling wasn't my true calling," he said. His full name is Booker T. Huffman Jr. He grew up in the Southpark community. His father died when he was a baby and his mother died when he was 13. At 22, he went to jail for aggravated robbery. "Every day a kid makes a mistake and it could be the end of his life," he told Eyewitness News. "I went to state penitentiary. I did my time." Someone sponsored him to go to wrestling school. He worked his way up to become one of the most successful and popular wrestlers of his time. Now stepping into the political ring, he says homelessness and safety are two of Houston's most pressing issues. "We talk about safe zones in Afghanistan, safe zones in Iraq. We need safe zones right here in our city," he said. We asked what other issues he sees in the city. "I have three years to find that out. I don't know what it's going to look like at the end of Sylvester Turner's first term. I definitely will make sure I have the right people with me to make sure we do make the right decisions about what the city actually needs," Booker T said. State law prevents convicted felons from holding public office, but his team says there are several legal provisions in the Texas Constitution and they're taking all steps necessary to ensure he's 100 percent eligible to run for mayor. "I need people to bring up the past," he explained. "I need everybody to know who Booker T is. All the rich folks. All the poor folks." We reached out to Mayor Turner's office to see if he had anything to say about Booker T's announcement, but did not get a response.